I absolutely love the concept of an environmentally friendly off-grid living. The whole concept of being off-grid and self-sufficient sounds so glamorous and appealing. Living a simple and free lifestyle, not at the mercy of constant nagging bills. It also can sound to be near impossible and it must cost an absolute fortune to go off grid, So i am here to help provide as quality infomation as i can to help make this dream a reality for anybody who is curious. I don’t think i will be able to jam all the information into one blog so this will be “Part-1 in a blog mini-series”. with a minimum 2 post per week. Enjoy..
To live completely off the grid and reap all the benefits, you will need a reliable and steady source of energy. Alternative energy sources such as Solar, Wind Turbines, Hydroelectricity, and many others have become more efficient and more readily available than ever before. Thanks to the internet, blogs, youtube channels, google and so many valuable platforms we can now get our hands on some of the most amazing innovative products. They Can assist with helping us choose the best alternative ideas, for our continuously and efficiently energy source for our application. “I have personaly put some appropriate videos and links under each description that are relevant topics of infomation. Click on the links for a browse around and to help you get a better understanding of each topic. Enjoy….” Shawn. Is probably the most efficient way to produce electricity off the grid. If you live in an area where you get plenty of sunlight, it might be the ideal method for you. Solar panels and inverters can produce and store a lot of energy than you to use. Solar panels are relatively easy to install, and they don’t have any moving parts. However, solar panels can become expensive so be aware you get what you pay for. 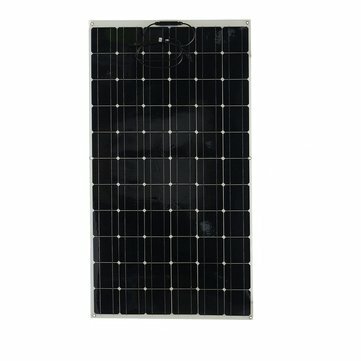 There are some cheap panels around but please do your research.They can be expensive to install and setup.” it can be a good investment in the long run with a great setup good batteries, this is definitely a fantastic method to consider. although not impossible to self-install but please be strongly advised if you have no idea please leave it for the professionals, as it can become very expensive for parts and labor to Fix or replace damage work. There is no need to waste unnecessary money and time for sake of pride, ,I do although, encourage you to have a full understanding of how everything works though and ask your installer any questions you have AFTER the install so he can show you exactly what he has done. (Personal Tip: Most tradies hate being asked questions as they work as this chews up time and they lose concentration, remember that you are paying for this service with your hard earned cash and you want the best value for money and a quality install. So do your self the favor and offer them a coffee or a drink and be friendly and save the questions till the end and you will find they will be more than accommodating to answer any questions, concerns or technical understandings you may have). is also a great way to generate electricity, which is unfortunately probably one of the less popular methods of off-grid electricity. Micro-hydro electricity uses water current fro m a stream or a water source to run the turn turbines and produce electricity. It is a brilliant cost-effective way of generating electricity, but in many cases you have to live near a steam or have some kind of running water source, you may consider installing a hydroelectricity producing device and generate electricity 24 hours a day, seven days a week which can you lots of money in the long term and a great back up strategy if there is a failure to another source. “I believe this one in the picture is retailed at around $550 although you would no run your house off it its perfect for a back up solution just click the link below and check out the huge range of products avaliable”…. for your best results contact your local weather authorities to find out whether you live in an area were its good for producing wind-generated energy. If you find out how much your average wind area receives, you will be able to figure out how much power you can expect to generate from your turbine system. You may be able to generate 400 watts with a four-foot turbine a nd run a few appliances( which is pretty impressive for a small divice). Or 900-watt turbine that will be at least seven foot. If you have a big area and a generous budget, you could consider putting up a bigger turbine and generate more electricity, Although as i mentioned earlier make sure you do your research so you can set yourself up the right kind of system that will be most beneficial for your application. Try to apply some of these methods to generate electricity. Even if you don’t plan to live completely off the grid, you can still plan to partially power your hour house or business with some of these off the grid methods and save money and energy. And i have found this Fantastic book on case studies around the world, Wind Energy for Power Generation: Meeting the Challenge of Practical Implementation worth checking out. When designing standalone systems, we aim to keep generator run-time and associated costs to a minimum. Generators are costly to purchase, expensive to run, noisy, polluting and are historically the weak link in any stand-alone power system. If a generator is needed, however, then we recommend the correct unit for your needs, ensuring compatibility and minimizing the risk of other complications. Diesel generators are recommended for off-grid systems that has a lean solar and battery storage capacity. you can get a lithium-ion standalone system with little autonomy. These systems are more of a reliant on the generator to power higher loads for longer periods of time. Therefore making the reliability of a diesel generator essential. These generators have a larger capacity have a bigger kva than petrol generators, and are usually more expensive but they are defiantly worth the extra money. Petrol generators are used in off-grid systems where the generator isn’t needed as much, and there isn’t a high load-support and charging requirement when it is used. These generators are cheaper than diesel generators, and are usually smaller in capacity. “If you do get one buy a Honda from personal experience they might be more up front but are hands down quieter, cheaper better parts and stronger and more compact for the size of the kva output”. With LPG, you don’t have to sacrifice your standard of living to reside in a remote location. LPG can provide all the comforts of home with a minimal investment. One of the side benefits of being off-grid is that there are no power outages(just an empty bottle and always at the wrong time.lol). The system is self-contained and can be supplied almost anywhere worldwide. If you have the room there are large storage tanks available so you don’t run out. CAUTION = MUST be installed up by a qualified or approved installer and must pass a leak test (For the DIY’r use approved gas tread tape on connections and joins and usually pour warm soapy water on joints and connections to see if there are there any leaks before use. You will smell it anyway before you see it anyway so when testing the line just gently turn the gas on and slowly build up the pressure, Easier as a 2 person job) . The LPG is delivered by a tanker truck that refills your LPG tank on-site. You can take your cylinders into an LPG supplier and get your bottle refilled or exchange your cylinders, and replacing them with full ones. (swap and go) It will all come down to how big your tanks are and where they are located. The end result is easy to cook with, comfortable heating, and water heating no matter where you are located and live. but does have downfalls especially in colder climates -10c, it won’t draw out of a 9kg bottle the gas becomes to liquefied you need the 15kg or bigger to draw from. That brings us to the end of chapter 1.The next blog in the series we are going to go into the design phase of the process and deciding on the many styles of homes to choose from. I hope you have enjoyed reading this please feel free to leave comments below and until next time take care.